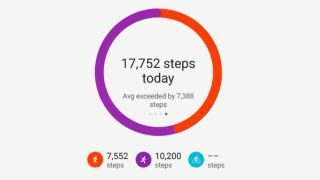 Google Fit doesn't seem to be working well enough for Google's liking in Wear OS watches, so the company is rumored to be working on an updated assistant for fitness that comes with AI inside. A new leak from sources speaking to Android Police claims the updated version will may be called Google Coach - that name could change before launch - and it's set to leverage the company's AI capabilities into advice for individual users. For example, Google Coach will be able to take your previous fitness data and recommend alternative ideas when you've missed a workout or track your progress over time for feedback on how to improve. This is set to launch for Wear OS watch owners at first - it may even be a big selling point for the rumored Google Pixel Watch - but it'll also come to phone devices in a more limited capacity. This isn't just for exercise though - the report claims it'll be able to help you with nutrition as well as recommend recipes and food ideas for you by providing a meal plan as well as a shopping list for what you'll need. If you're at a restaurant and Google knows your meal habits, it may be able to give you a notification to say you should eat a particular meal while you're there so you won't even need to look at the menu. This could be particularly useful for people with more specialist dietary requirements. Think this all sounds like too many notifications to your watch or phone? Google thinks the same, so the report says it'll be made into a conversational feature within an app rather than bombarding you with things to your wrist. That likely means you'll have to actively use the Google Coach feature to get the most from it. That may sound like hassle, but the benefits of the artificial intelligence tech could offer an service that's part your favorite fitness app, part MyFitnessPal and part Google restaurants recommendations all in one place.